Another snow day, another opportunity to step out of the box! Being able to do a freestanding handstand in two months is just one of my many goals for this year. I noticed tons of people on Instagram holding handstands all over the place. I thought to myself, well, I used to be able to hold a handstand for a while back in the day. Why not?! And so began my journey to being able to do a freestanding handstand over the next two months. First, I consulted with the Nerd Fitness blog, which seems to have the answers to almost every seemingly weird question I have. Sure enough, they had a nice post about how to get yourself to a freestanding handstand in 28 days or less. When I finally decided to give it a whack, I quickly realized that I could move on to Level 4 of the Nerd Fitness handstand challenge. I was moderately involved with gymnastics as a kid (no Gabby Douglas, that I can assure you), so I didn't have any real fear of breaking my face or anything while doing a handstand. In fact, I was pretty good at handstands, and surprised myself with my initial attempt at kicking up against the wall. Let me tell you, handstands are a serious burn! I spent about five minutes working on my handstand, and plan to do the same for the rest of the week. My wrists and shoulders said, "AGHHH!!" They weren't happy with me, but they're not in charge. I couldn't hold my handstands for very long. I think I only got up to 3-5 seconds, but that's a start! Hopefully I'll be able to get up to 15 seconds by the end of the month. Fingers crossed! 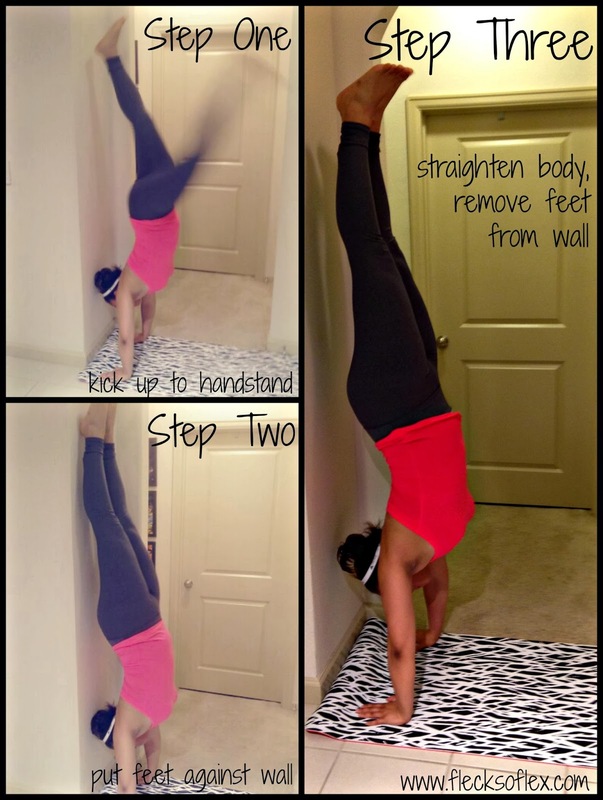 Can you do a freestanding handstand? How long can you hold it? I have an intense fear of having my head closer to the ground than my feet...... being so tall I have a long way to fall. Answer to question - no. Check out that Nerd Fitness blog! They show you how to build up the courage to be upside down. It feels so great when you do it! I am so envious of you, girl! I lift weight 3-4 days a week but am not bendy or flexible. I still have hope though. I am anxiously awaiting for my DDP Yoga DVD's to be delivered! You'll get there! I'm not as flexible as I used to be, but I think some extra doses of yoga will help me get there. Good luck!